First up, Celine. One of the collections I look forward to most each season, Phoebe Philo has that knack of creating incredibly chic, simple clothing that is wearable whilst still being fashion forward. 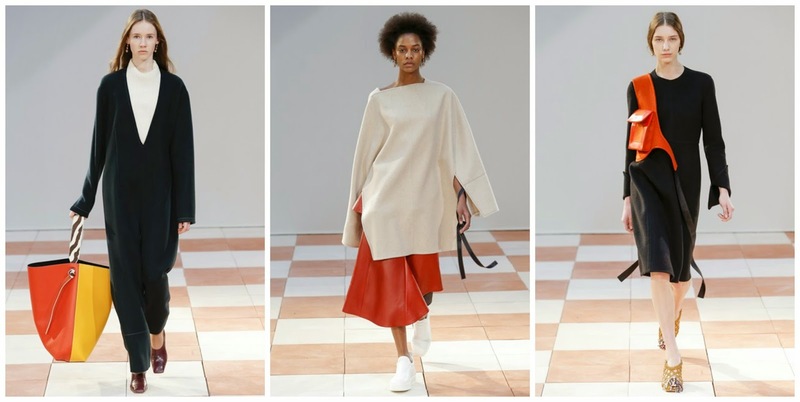 I love the colour palette of this collection, as well as the baggy, oversized shapes and use of orange leather. 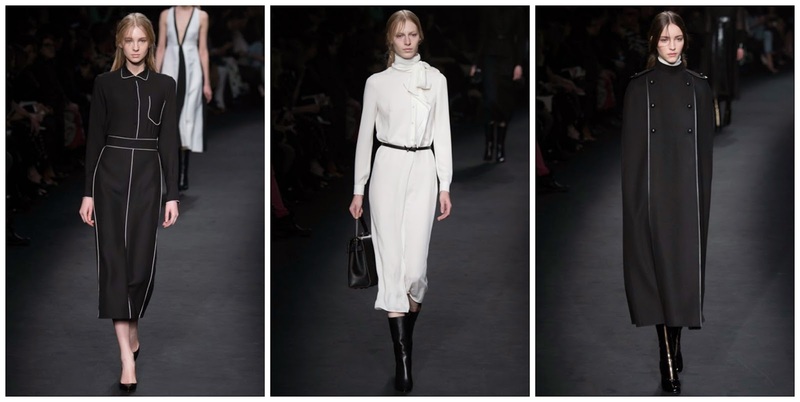 Chloe is another favourite, and this season the fashion house did what it does best: the 70s. Loose, bohemian shapes and neutral colours ruled, and easy styling tricks were seen in belted suit jackets and chunky knits over delicate lingerie-esque skirts. 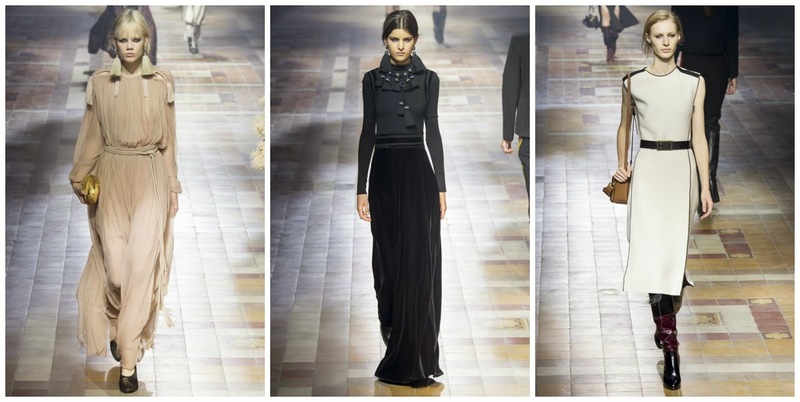 Lanvin is next on the list, and it is beautiful. Alber Elbaz took influence from his Moroccan upbringing for this collection and the result was long, breezy dresses and beautiful details. The 70s was also a reference throughout, with slouchy knee high boots and tan shoulder bags the accessories of choice. I loved this Lemaire collection; it's the kind of styles I can see myself wearing straight away and is one that can easily be recreated. I'm a sucker for all things oversized so that navy coat is on my must-have list, and that simple tailoring creates a sleek outfit for autumn/winter. Ahh, Valentino. Probably one of the highlights of the season was watching Derek Zoolander and Hansel close the show, complete with Blue Steel - a real example that fashion does have a sense of humour. But I loved it just as much for the clothes; the clean and simple looks were my favourites - how amazing is that floor length military-inspired cape? !